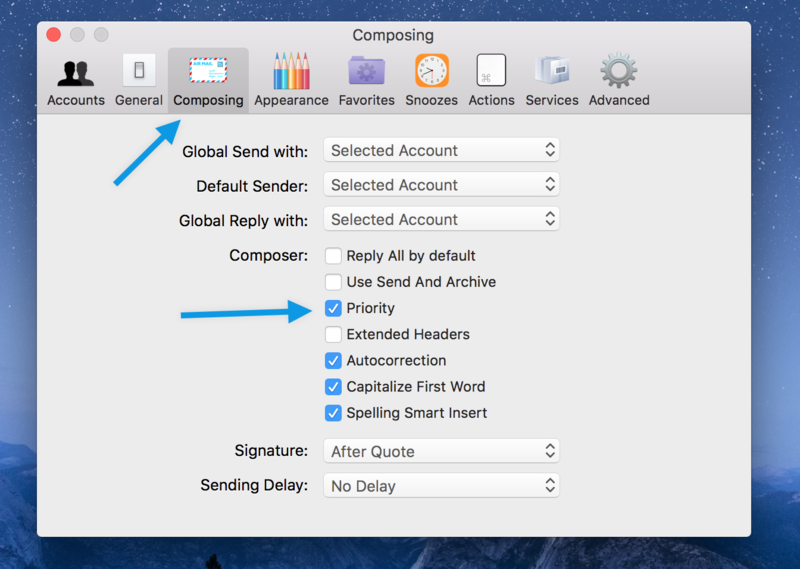 In Airmail you can prioritise messages for your receiver which means the high priority marked as important . perform it and warn the receiver with priority. You can see the icon above as a &apos;flag&apos;.